Here's the cool thing about CreativeLive. If you can attend the workshops live, they are free. If you can't, you pay to access the recordings. 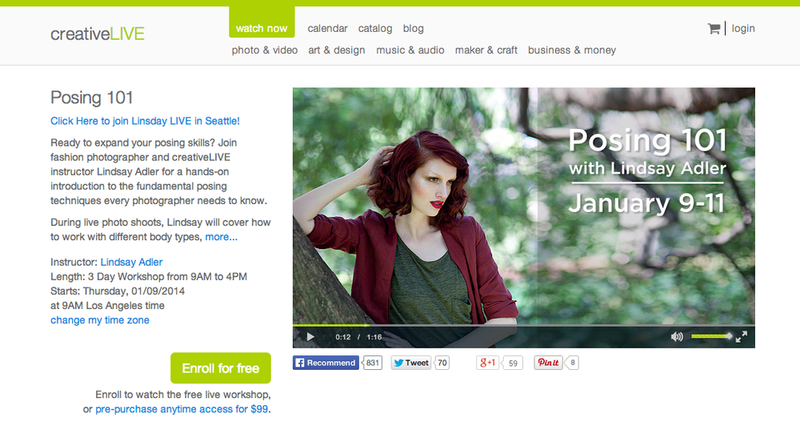 That's a great opportunity this week for aspiring portrait photographers. Lindsay Adler is teaching a Posing 101 workshop. Knowing how to pose quickly and effectively can often be the difference between a great portrait shoot and a mediocre attempt. I'm looking forward to hearing Lindsay's tips on Thursday. Check her out if you can. Project 365 idea: Take an informal portrait of a friend or family member. It's great to get someone who will let you experiment.